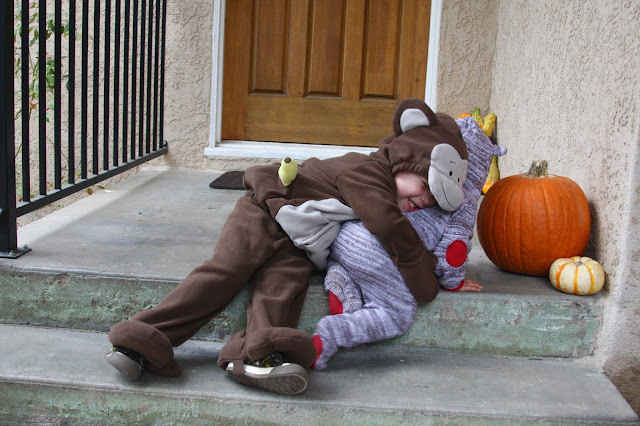 This monkey outfit is a bit of a Grimbleby right of passage. One of my former coworkers sent it to me in Scotland when I was pregnant with Connor. 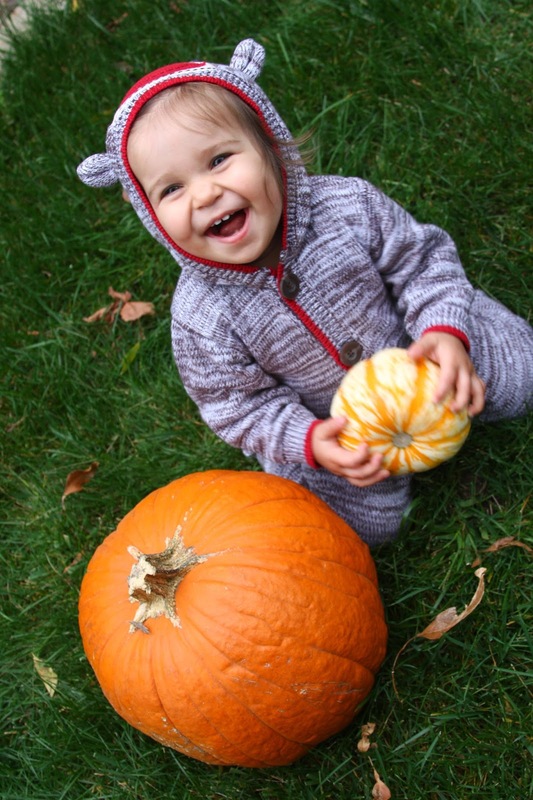 He wore it for his first halloween, Isla for her second (she was only two weeks old for her first!) and now Callum has worn it. Never mind the fact that both Connor and Isla were both proficiently walking when they wore the monkey. No worries Callum, mom isn't ready for the day, that I am sure will come too quickly, that she has to figure out how to keep you safe around the stairs. Let's take a look back, shall we? Look at that sweet little Connor! Only a couple weeks from his first birthday. 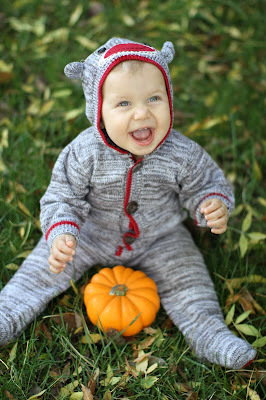 Oh man, and I remember the year before kind of hoping that I would no longer be pregnant by halloween! And then there's our dark haired beauty. The little gap toothed smiles of babies just slays me. Like seriously gets me every single time! I had to include this next picture because it just cracked me up. Connor and Isla have always been Connor and Isla even from little babes...always frienemies, these two. But how about a couple more pictures of adorable smiley Callum? I love that this costume has lived on. It is a piece I will definitely be keeping. 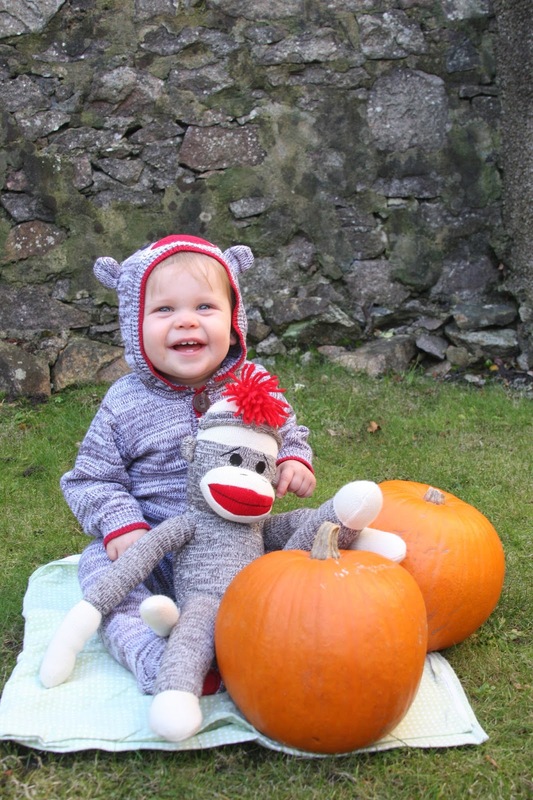 Sure, they may never want to use it for my grandkids, but I can pull it out and smile and think of all the great memories this little sock monkey holds for our family.